SegPlay Mobile for iOS devices requires iOS 5.0 or higher. You can check your iPhone, iPad or iPod’s current version by going to the Settings App and then General >Version. If you have an earlier version we suggest you follow the instructions found here to upgrade to iOS 5. 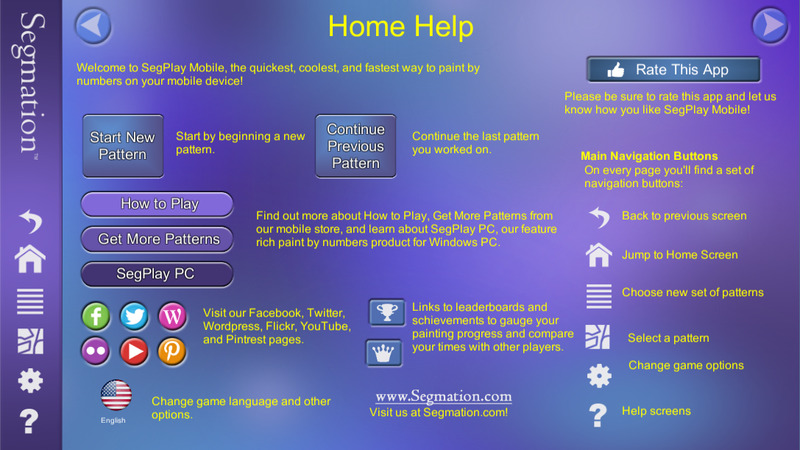 Pattern sets for SegPlay Mobile only need to be purchased once per App Store Account. If a purchased set is deleted or needs to be reinstalled for some reason, the App Store will make it appear that you will need to purchase the set again, but you won’t be billed twice for the same set. 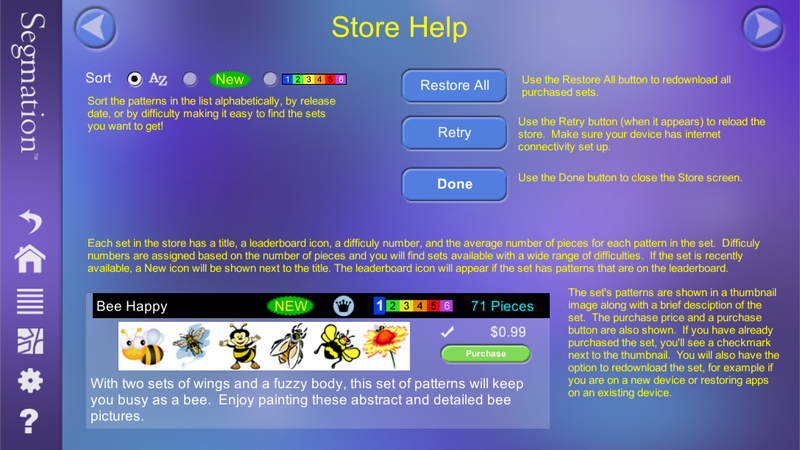 You are also able to use the Restore button in the Store Screen, to automatically install previously purchased pattern sets. Go to the Android Store and search for SegPlay Mobile. Select the update button and wait for SegPlay Mobile to get updated. 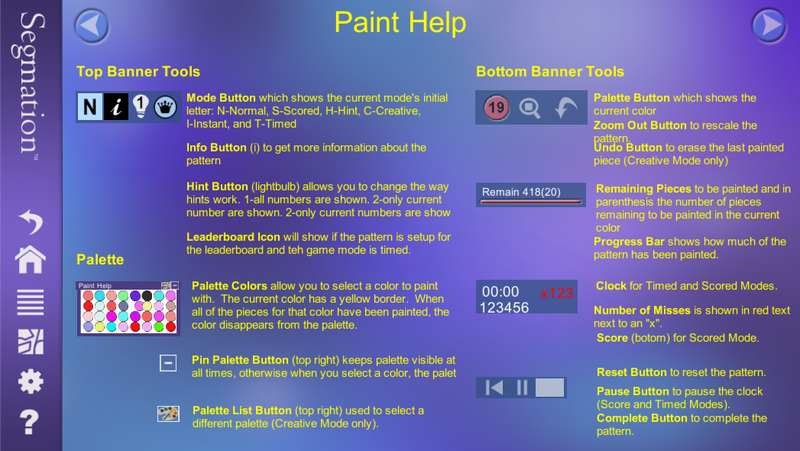 Open SegPlay Mobile and try opening patterns and painting again. 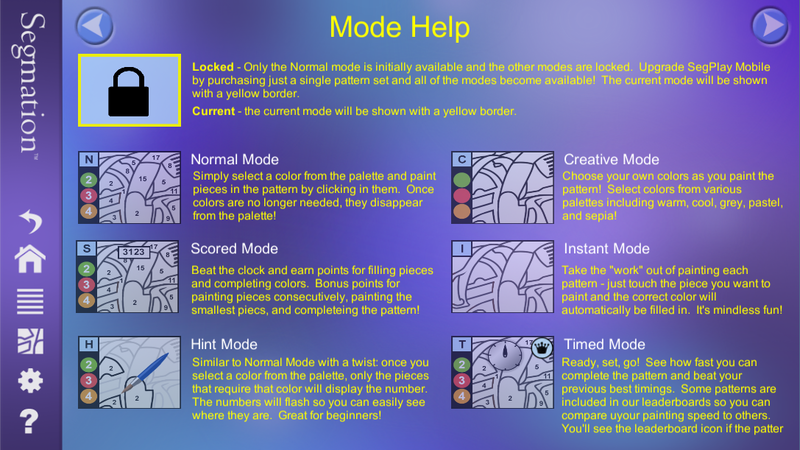 Also, if you have purchased pattern sets, go to the Store screen and select Restore to automatically install previously purchased pattern sets again. Close all other running apps, to free up more memory. Power down your device and restart your device. Clear the cache for SegPlay Mobile by going to Settings/Apps and searching for SegPlay Mobile. You’ll find a “Clear Cache” button in that section. If SegPlay Mobile is crashing with the latest version, it could be that your device may not have sufficient memory or some other incompatibility. Unfortunately there are many Android manufactures and devices, so we are unable to test SegPlay Mobile on each one. Chances are good that if your device is somewhat recent and fairly popular, SegPlay Mobile should work. The best way for us to help determine crashes, is to have an Android log file created. These files contain information about exactly where the crash is occurring and some clues about the precise problem. You can create a log file using one of many log file apps available on Google Play. Search for “log file” in Google Play and install one that can create a log file and allows you to email it (e.g. aLogcat, CatLog). You can email to s u p p o r t @ s e g m a t i o n.c o m (remove spaces). Make sure your device information is included, along with a description of exactly what you are doing when the crash occurs. 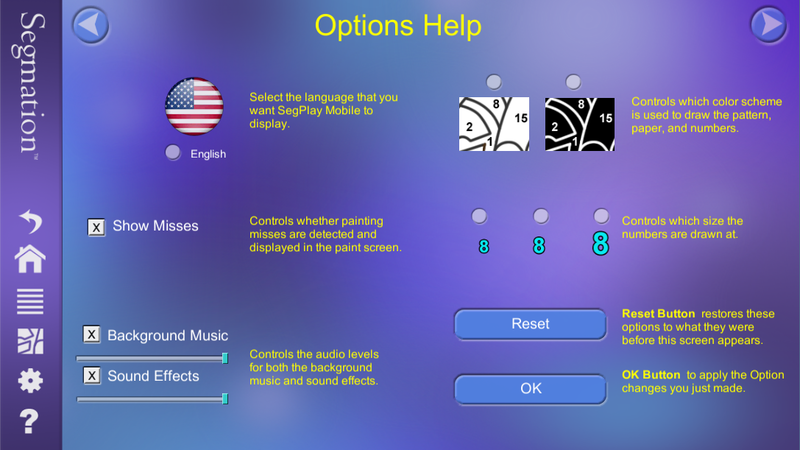 SegPlay Mobile v4 has detailed Help Screens included in the app to make it easy to learn everything about this fun product! We’re showing them here as well.. Send us your question or problem, device information, log file (if necessary), and we’ll get back to you with an answer as soon as we can!